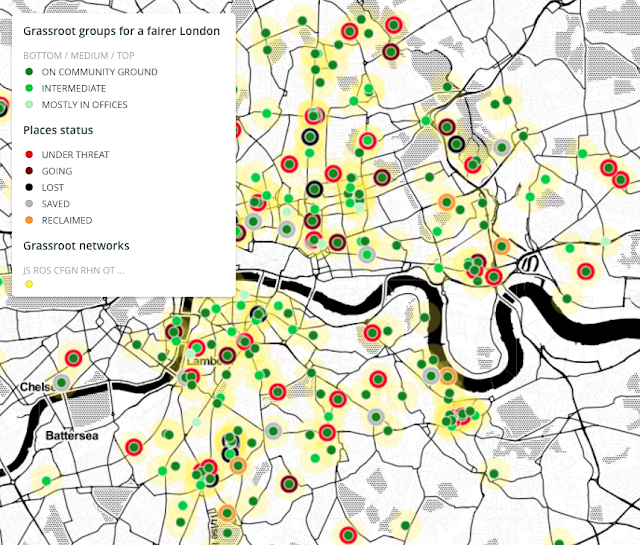 Mapping for community-led planning and a fairer London. JustMap is an ongoing collaborative map of London community resources, campaigns and projects. It is based on public workshops organised at community events or festivals to collect directly from Londoners their intelligence of their city. Its goal is to highlight communities resources and projects, to connect actors campaigning for a fairer London and to identify strategic cooperations. 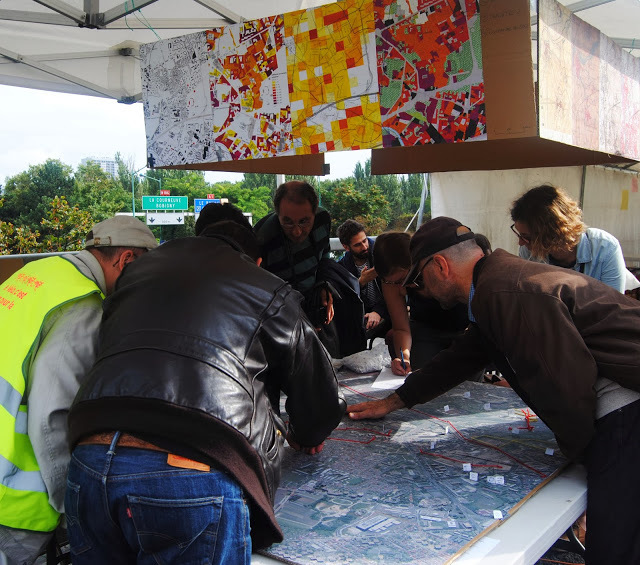 The particularity of justMap is to mix online process and public workshops to address a wider and more diverse audience. 21 workshops have been run for the moment. See details here. 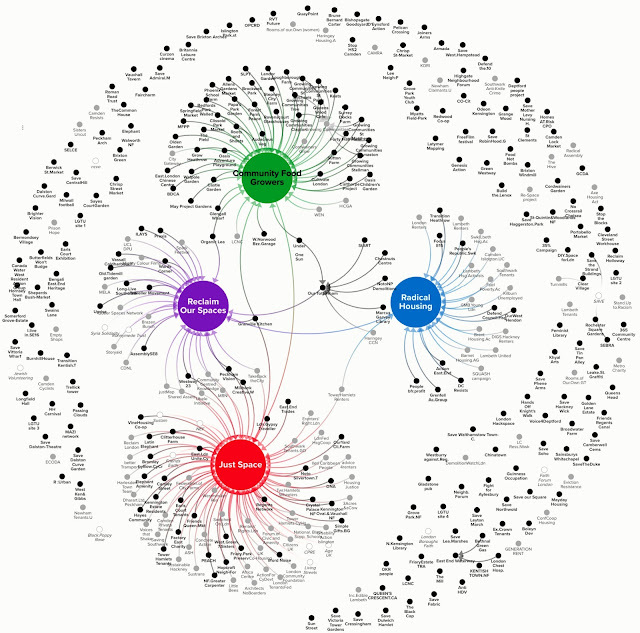 From the same database we also produce clustered visualisations. - to connect, cooperate and build alliances. And all this both locally and across the metropolis.